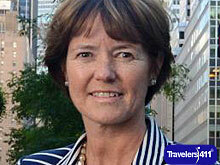 Elizabeth Stack, PhD, Executive Director, Irish American Heritage Museum, 370 Broadway, Albany, New York 12207, USA. Click here for the Irish American Heritage Museum Directory listing where you'll find links to all interviews with Irish American Heritage Museum in one place. Click here for more info and links to all interviews featuring Elizabeth Stack, PhD. David Cohen, General Manager, Hotel Plaza Athenee New York, 37 East 64th Street (Between Madison and Park Ave.), New York City, New York 10065, USA. Click here for the Hotel Plaza Athenee New York Directory listing where you'll find links to all interviews with Hotel Plaza Athenee New York in one place. Click here for more info and links to all interviews featuring David Cohen. 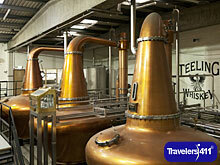 Jack Teeling, Founder and Managing Director, Teeling Whiskey Company, 13-17 Newmarket, Dublin 8, Ireland. Click here for the Teeling Whiskey Company Directory listing where you'll find links to all interviews with Teeling Whiskey Company in one place. Click here for more info and links to all interviews featuring Jack Teeling.